Sometimes, the struggle is REAL. Let us help you get on the path to success. We understand that every business is unique and that in order to succeed, you need a strategy built just for you. Below are a few of the common questions we get asked, as well as our answers. Where do I get started with an inbound marketing strategy? You've done your research and know inbound marketing is the best way to improve your marketing efforts. But getting started? Well, that's another story. Setting goals, deciding on an automation software, developing buyer personas, and creating content are just a few things you know you need to do, but now you're unsure of where to start. We recommend starting with an Inbound Marketing Gameplan. The Gameplan is designed to help you get a better idea of where you are, who you want to target and then starts laying out a path towards success. Learn more about Inbound Marketing Gameplans in our free ebook, 6 Keys to Planning an Inbound Marketing Strategy. You've invested in HubSpot but haven't yet seen the results you hoped for and expected. HubSpot is a powerful marketing automation and sales tool, but it needs you to work. Maybe you have a lack of quality content, a broken lead nurturing funnel, or are having trouble understanding your metrics. 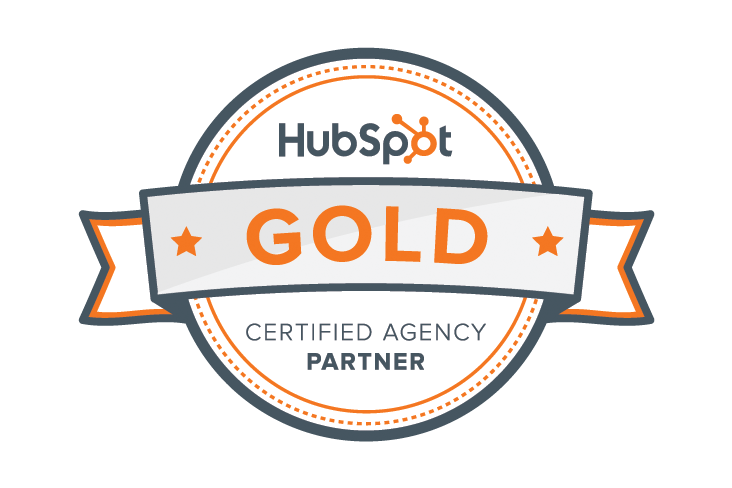 As a HubSpot Gold Certified Partner Agency, we can help you maximize your investment in the software. A website redesign is a sizeable task, and knowing where to start can be hard to determine. What should your site's primary focus be? How can you maximize the value from your investment? Most companies do a complete overhaul of their website every 1-2 years. If you're tired of this cycle and are seeking something that's more long-term and sustainable, we have a few options for you. Are you generating steady traffic to your site, but having difficulty moving this traffic down your funnel with lead conversion? If your traffic is bouncing instead of engaging, there is something about your website that isn't quite right. Your problem could be many things — like poor landing pages or forms asking the wrong questions — but thankfully, there are some ways to fix this issue. How can we use our blog to generate business? If you're creating and shipping content but not seeing traffic or converting leads, it's easy to get frustrated. Your blog can serve as a powerful first touchpoint to your brand, so getting it right is important. A struggling blog could mean many things. Maybe you are blogging to the wrong audience, not optimizing your posts, or failing to promote your content. We can help in all of those areas. Can you help us get traffic to our website? After investing time and money getting your company's website going, it's frustrating when you don't feel that people are showing up. The only two ways to get your website found are through organic traffic or promotion. If your traffic generation is falling short, you should be taking a closer look at the quality of your content, links and your promotion strategy. We can't find our self in search. Can you help? Whether you had a bad experience with an SEO firm or just haven't given your SEO much attention, poorly executed SEO results in your content not getting found organically. This type of traffic is a powerful opportunity to deliver the right audience to your website consistently. By creating content that speaks to your audience and earning quality links, our team can help you get more out of your search strategy. Can you help us figure out which marketing objectives to focus on? You're running your inbound marketing strategy, but you know it needs a focus. There are so many things you could focus on: content, traffic, lead generation, social media, SEO — and the list goes on. It can be paralyzing knowing which marketing objectives to measure and tackle to create the results you are looking for. We can help determine where your focus should be based on your objectives and target audience.